Quanti prodotti si possono expose in a store or in a showroom? 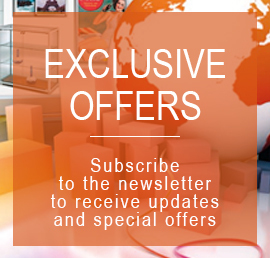 No matter what type of products you're thinking, for sure Displayshop has the exhibitors plexiglass you are looking for! There are different types of display units, depending on the products that you have to promote and expose: clothing storesfor example, using busts and mannequins, as well as counters, while in the case of electronics stores and music the products are displayed in slatwall. 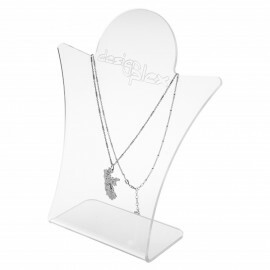 For these and all other types of products Displayshop offers displays of different shapes and made of various materials, from plexiglass to aluminium anodized. Description: Transparent Plexiglas door and candy bags, ideal for bars, public places and for the home. Consisting of 2 shelves for displaying different types of products. 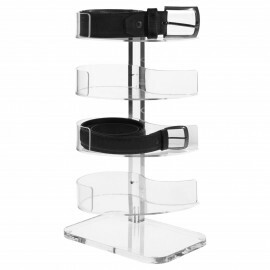 Thickness 3 x 18 cm Shelf shelves: Shelf 1:18 mmdimensions 2:22 x 22 cm total height 23 cm For more information, call 049.8710777 o compila il modulo sottostante. Description: Transparent plexiglass display modern lines to better enhance the quality of the gem, ideal for wedding jewelry, bench or Cabinet. Can be customized with company logo and writing (only for amount). 3 mm thickness measurements: 17 x 6 x H20 cm Dimensions: 17x6x20h cm For more information, call 049.8710777 o compila il modulo sottostante. 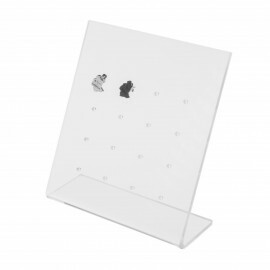 Description: Counter display in transparent Plexiglas with 16 holes for earrings can also be used for over-the-counter vetrineEspositore ideal for wedding jewelry 3 mm Thickness 1.8 mm hole diameter measurements: 5 x 8 x 3.5 cm Dimensions: 5x3, 5x8h cm For more information, call 049.8710777 o compila il modulo sottostante. 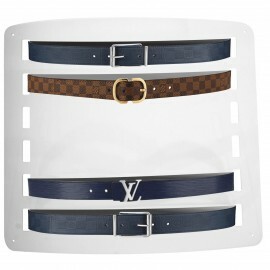 Description: Transparent Plexiglas door belt at 4 an ideal position to set up shop in clothing, leather goods etc. is an impact-resistant material and easy to clean. 3 mm thickness Measures 21 x 19 x H16 cm on request is available with 6 or 8 beds. 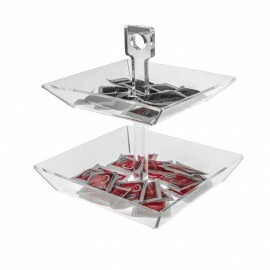 Dimensions: 21x19x16h cm For more information, call 049.8710777 o compila il modulo sottostante. Description: Transparent Plexiglas belts 6 door wall locations, ideal for clothing, leather goods shop fronts etc is shock resistant and easy to clean. 3 mm thickness Measures 48 x 2.3 x H58 cm on request is available with 4 or 8 seater. 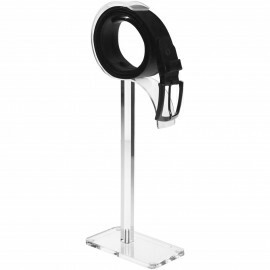 Dimensions: 48x2 rotor, 3x58h cm For more information, call 049.8710777 o compila il modulo sottostante. 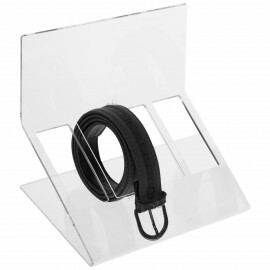 Description: Transparent Plexiglas belts, 4 port locations, ideal for clothing, leather goods shop fronts etc is shock resistant and easy to clean. 22 x 15 x 3 mm thickness Measures H38 cm on request is available in 3, 5, 6, 7, 8 levels. Dimensions: 22x15x38h cm For more information, call 049.8710777 o compila il modulo sottostante. 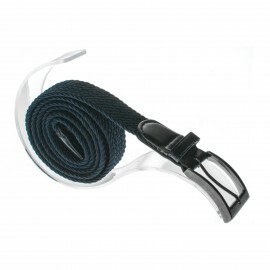 Description: Transparent Plexiglas door belt, ideal to set up shop in clothing, leather goods etc. is an impact-resistant material and easy to clean. 3 mm thickness Measures 8 x 16 x H26 cm upon request also available with 32 or 38 cm height. 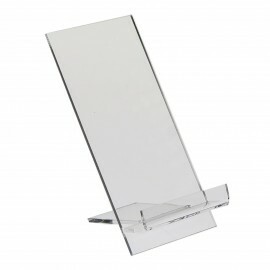 Dimensions: 8x16x26h cm For more information, call 049.8710777 o compila il modulo sottostante. Description: Transparent Plexiglas door belt without base, ideal for clothing, leather goods shop fronts etc is shock resistant and easy to clean. Thickness 3 mm 20 x 12 x H4 cm Measures on demand is also available in black or white plexi. Dimensions: 20x12x4h cm For more information, call 049.8710777 o compila il modulo sottostante. 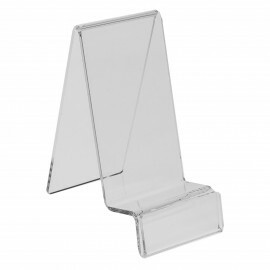 Description: Cell phone transparent plexiglass, ideal to expose different phone models on benches and window shopping in stores or shopping malls. Can also be used for private use or in your Office. 3 mm thickness measurement: 7x10x H12 cm Dimensions: 7x10x12h cm For more information, call 049.8710777 o compila il modulo sottostante. 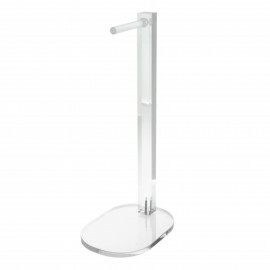 Description: Exhibitor lackeys transparent plexiglass ideal for setting up shop in clothing, leather goods etc. is an impact-resistant material and easy to clean. 8 mm thickness measurement: 15x11x H40 cm upon request also comes with 50 or 60 cm. height Dimensions: 15x11x40h cm For more information, call 049.8710777 o compila il modulo sottostante. 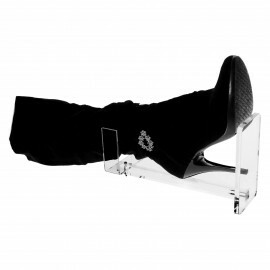 Description: Transparent Plexiglas door boot display, ideal for boots at clothing stores and leather goods. 3 mm thickness measurements: 8x15x H30 cm Dimensions: 8X15X30h cm For more information, call 049.8710777 o compila il modulo sottostante.